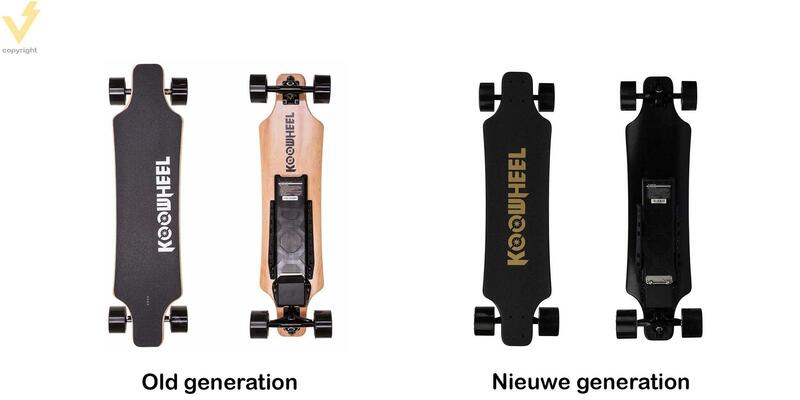 Koowheel introduced a short time ago the new model of their electric skateboard called the Koowheel Kooboard. Now there are two models: Koowheel D3M and Koowheel Kooboard. The newest model has a lot of improvements compared to the older model. We took the test and tested all new improvements and functions. 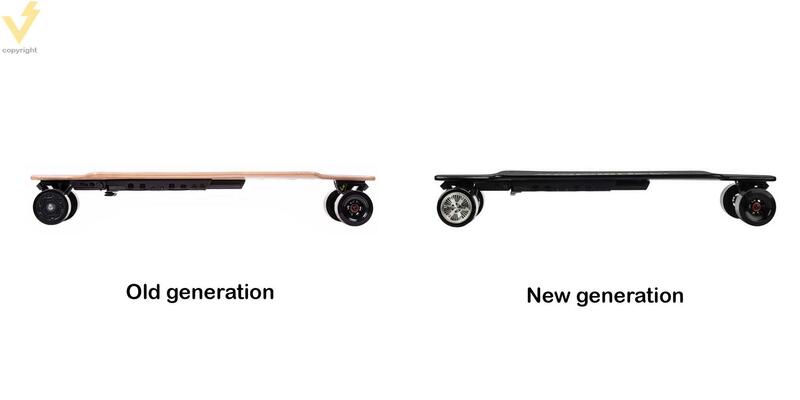 Below we will show all the differences for each parts of the electric skateboard. As you probably know the motors of the Koowheel electric skateboard are inside the 2 rear wheels. 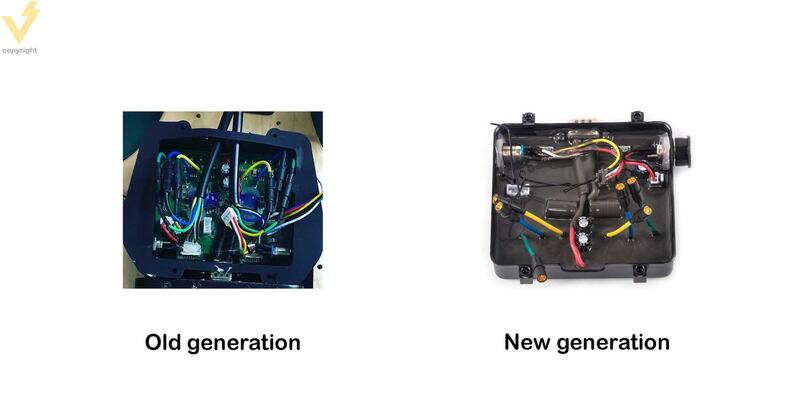 The power of these 2 motors is remained the same for the new model (2x 350W). The 2 motors provide a lot of power which makes them warm. As a result, the old Koowheel model suffered from overheating. In order to solve this problem, Koowheel applied air holes for air cooling to the outside of the motors in the new model. As a result of this the heat in the engine can now go out and causing it to cool down. So the new motors no longer suffer from overheating. The size of the wheels has also increased. The old generation had 90 mm wheels and the new generation has 97 mm wheels. These larger wheels allow you to achieve higher speeds with the Koowheel Kooboard model. The speed that we have clocked via the GPS with the old model is 35km/h and with the new model 40 km/h! The Koowheel Kooboard electric skateboard also has a completely new remote control. 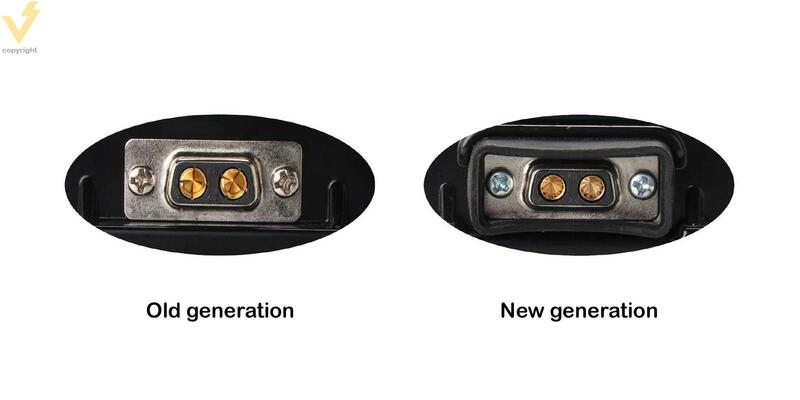 One of the biggest changes can be seen in the design. The design has been adjusted so that the remote control is now even better to control. The joystick is also improved and the gas and brakes are now even smoother. The new remote also displays how much battery is left. The battery indication for the new model Koowheel can no longer be traced via the 4 balls in the deck itself but now via the remote control. Furthermore, the PCB of the remote has been improved so you no longer suffer from disconnection problems and you can keep on cruising. There are also several improvement been made to the motherboard. For example, the new Kooboard model uses a DC charging port. This charging port prevents a short circuit due to the wrong connection of the charger. Also the housing of the motherboard on the outside strengthened and the electronics on the inside are sealed with a special coating so that everything stays in place and the chance of water damage is smaller. A small but very important improvement has been made at the battery. The new batteries are equipped with a protective rubber which prevents water from getting between the battery and the motherboard. This will prevents a short circuit. The capacity of the battery with 5500mah has remained the same. 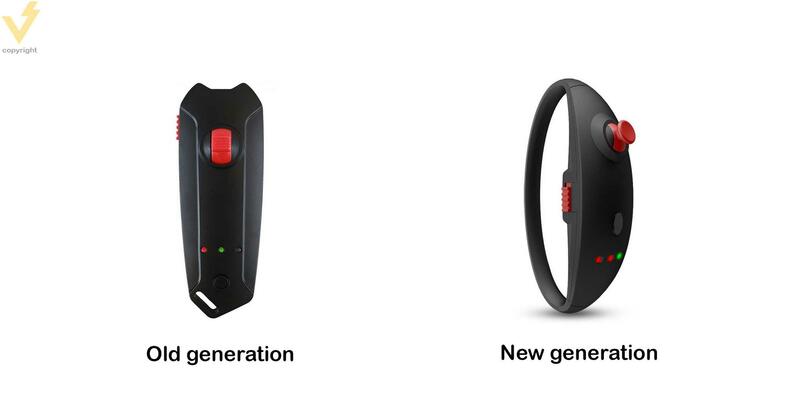 With this battery you get a range up to 15 kilometers. This range has been tested by us with a GPS tracker and gives a realistic picture. Koowheel itself indicates that the range is 25-30 kilometers but that has been tested on a machine without someone on the board and that gives no realistic picture. The deck itself still consists of 7-ply Canadian maple wood but the design of the deck has changed. 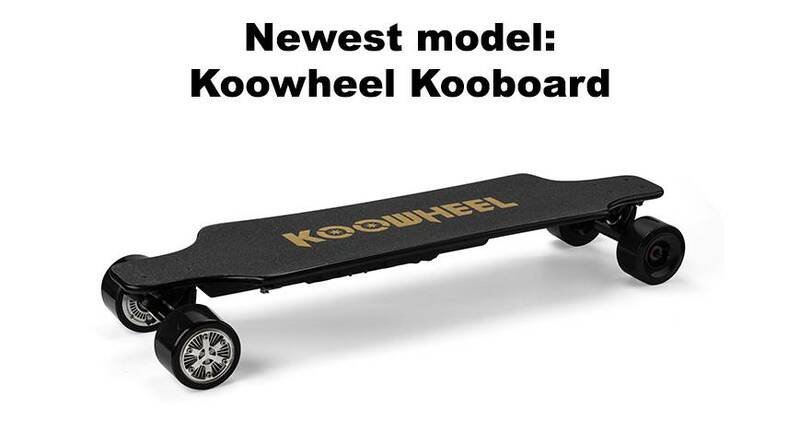 Koowheel has chosen to give the new model electric skateboard the black on black look. The new deck is also black at the bottom and all other parts are also black. This gives the Koowheel Kooboard the ultimate stealth look. - The speed has increased to 40 km/h. Do you have any questions or suggestions after reading this article? Then contact us!